The ethos experience is all about putting our patients’ minds at rest and helping you feel relaxed and comfortable with your choice. We want your treatment time to be as perfect as the smile that emerges after! We respect your time and won’t keep you waiting. At ethos, we’ll see you at your designated appointment time, except in the rare case when there is an unavoidable patient emergency. We’re not just expert orthodontists, we’re pretty good timekeepers too! Naturally, we’ll also go the extra mile to make sure you feel comfortable. Not just with the treatment appliance you wear, but with the quality of care you receive – and the level of confidence you feel. Before you start any orthodontic treatment, we want you to be clear about your treatment needs and understand the different options you have for achieving a beautiful, natural smile. That’s what your first consultation is for. In a comfortable, supportive environment, you can decide what is right for you, learning the difference between Clarity and Victory braces, or whether you’re better suited to Invisalign or Incognito. All our orthodontists are skilled specialists, happy to discuss the latest treatment options. Better still, they are approachable and take a genuine interest in your concerns and treatment goals. You will then receive a written treatment plan with an all-inclusive cost. When you are ready to go ahead, simply make another appointment to start the treatment – and bring that fantastic smile one step closer! First, the receptionist will welcome you and let the treatment coordinator know you’re here. A chat with the treatment coordinator will answer any questions you might have. 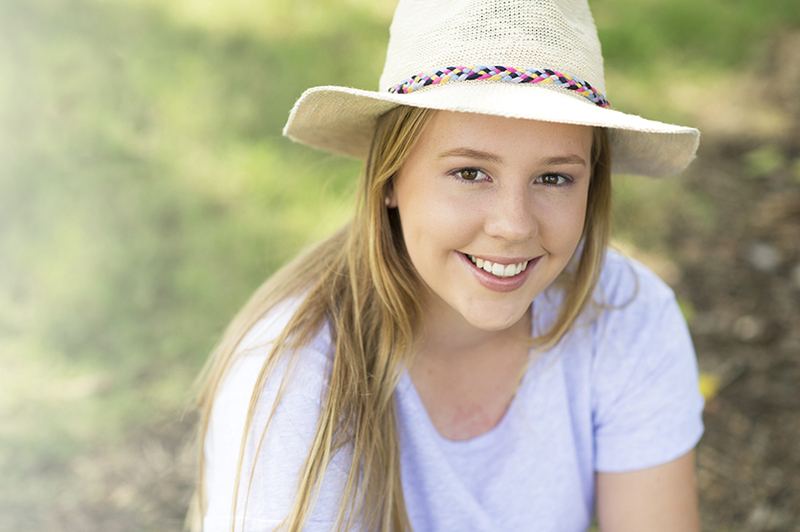 Next we’ll take some digital images of your teeth for the orthodontist to look at (digital imaging at Mount Gravatt and Clayfield only). Then it’s off to the orthodontist’s consulting room. An orthodontist’s chair is just like a dentist’s chair – without the drills or needles! Our friendly orthodontists will listen to what you and your parents want and help you choose the right treatment. The orthodontist will then prepare a letter for your dentist telling them how long the treatment will take and what it will involve. That’s it for the first visit. It only takes about 45 minutes and you’ll be that little bit closer to a fantastic new smile. So, you’re going ahead with the treatment. That’s great! Now it’s a good idea to find out about the process. Depending on your teeth and treatment, this usually takes between 12-24 months. First things first, the fitting isn’t painful. So whether you’re having Invisalign or braces fitted, you don’t need to worry! Once fitted, our dental assistants will give you some handy tips explaining how to look after them. This is also when we give you your “starter pack”, filled with goodies that will help you get used to life with braces as quickly as possible. Before we even start, we have an orthodontic master plan all mapped out. To get to this end goal, we move in small steps, adjusting your braces a little bit at a time and moving your teeth into a new position. You will have regular appointments to adjust your braces or fit the next set of aligners for your Invisalign treatment. These usually only take about 10 minutes, and are included in your treatment plan. Don’t forget that you can choose new colours each time you come to have your braces adjusted! So, you’ve taken the first step and had your appliances fitted. That’s a smart move. It may take a little while to get used to the feel of them in your mouth, but pretty soon, you’ll forget they are there. To give your treatment a chance to work effectively, be sure to follow these important dos and don’ts. A lot of them are common sense, but they’ll help to keep your teeth healthy and your treatment on track. Consistent brushing is more important than ever because food and plaque left around your braces can cause tooth decay and swollen gums. After every meal, make sure you brush with an electric or manual toothbrush, a ‘Christmas tree’ brush and toothpaste. Then check in the mirror to see if you missed anything! You can still eat most things while you’re wearing braces, Invisalign or Incognito but start with soft foods in the first week. After that, you should be able to eat pretty normally, as long as you keep these tips in mind. The worst things you can eat are hard, sticky sweets like toffees, Minties and Red Skins. Biting into large, tough objects can damage your braces – so always cut things like apples, raw carrots and crusty rolls into bite-sized pieces. Don’t gnaw meat on the bone or corn on the cob. Anything that can’t easily be cut into smaller pieces – like ice cubes and pork crackling – are best avoided. A lot of soft drinks, juices, energy drinks and flavoured milk drinks are very high in sugars and acid – and cling around your braces. Try to drink them only occasionally and brush afterwards if you can. It’s normal to feel some discomfort in the first few days after fitting and adjustments as your teeth begin to move. Paracetamol or Ibuprofen can help. If your appliance is irritating your cheeks or lips, you may be at risk of getting mouth ulcers. To help prevent this, simply place a small piece of wax over the brace or do some warm salty water rinses. Orthodontics doesn’t replace ordinary dental care so make sure you continue to see your dentist for regular check-ups. To ensure your treatment runs smoothly, it’s important to care properly for your appliances. If a wire is sticking out, first use your wax to stop it hurting or rubbing. Then contact us and we’ll work out whether we need to schedule an appointment. Even if you are careful with your braces, they may occasionally break or become loose. If this happens, it’s important to make an appointment to get them fixed as soon as you can, so your treatment stays on track.